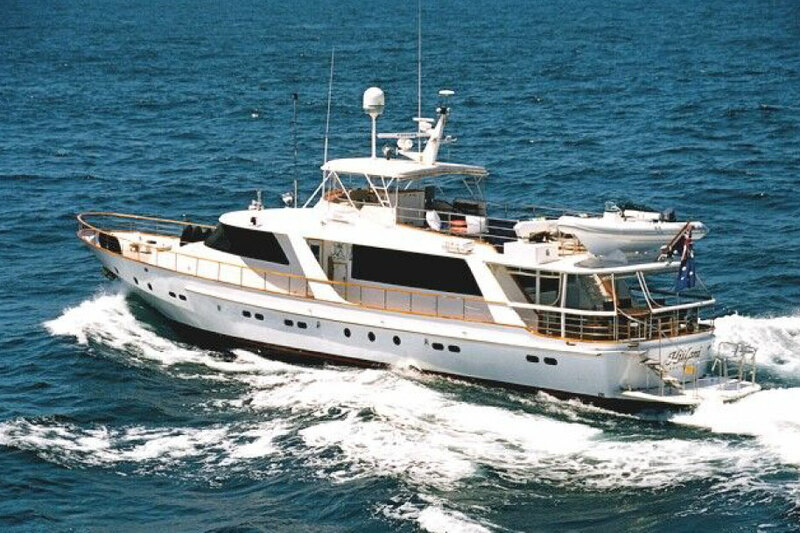 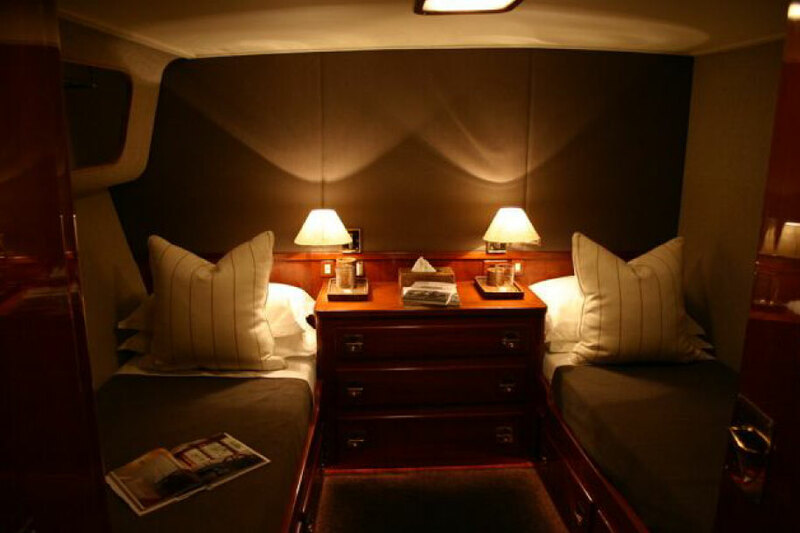 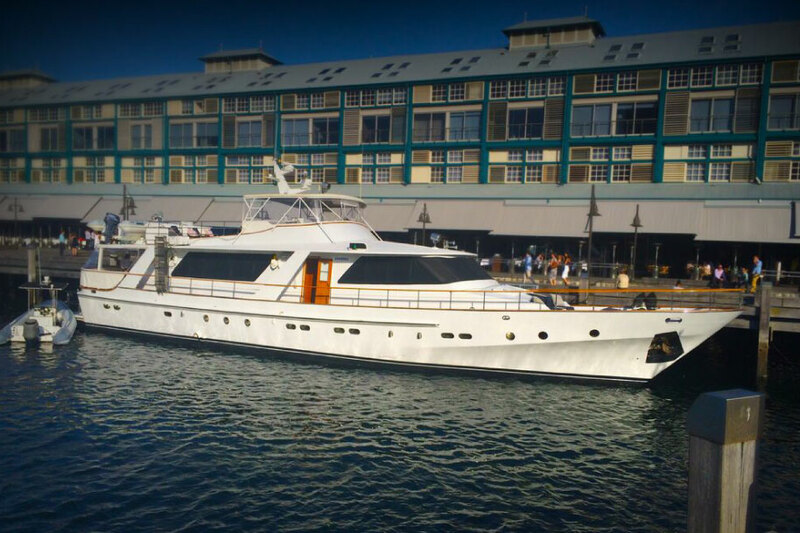 Hiilani is an elegant, classic 95ft motor yacht with classic exterior styling and a richly appointed interior. 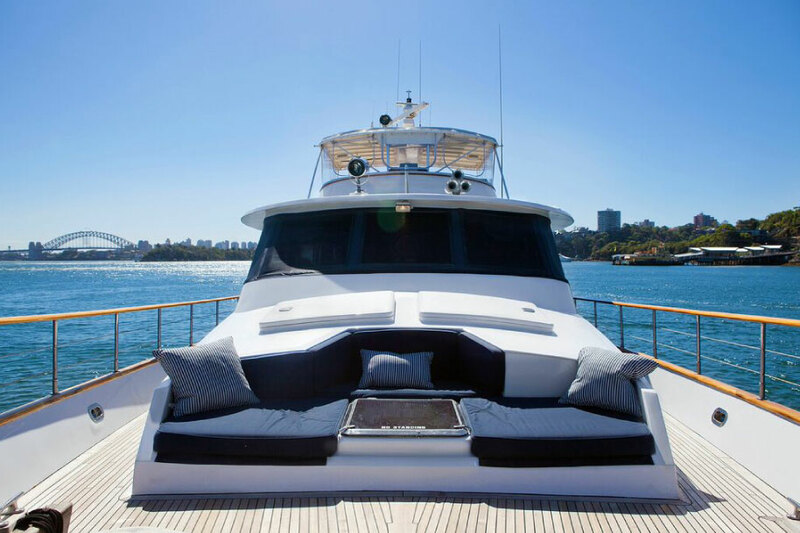 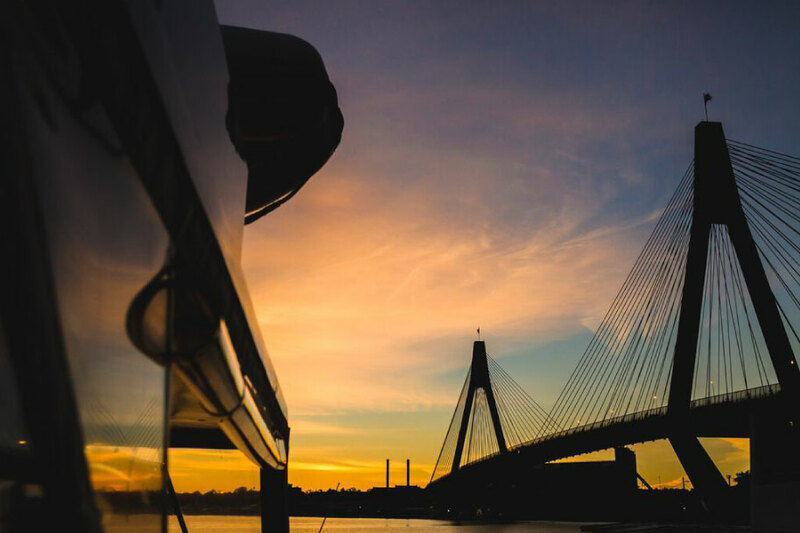 Built in Italy, and previously owned by Shirley Temple, her levels of luxury and comfort make her one of the finest motor yachts available for charter in Australia. 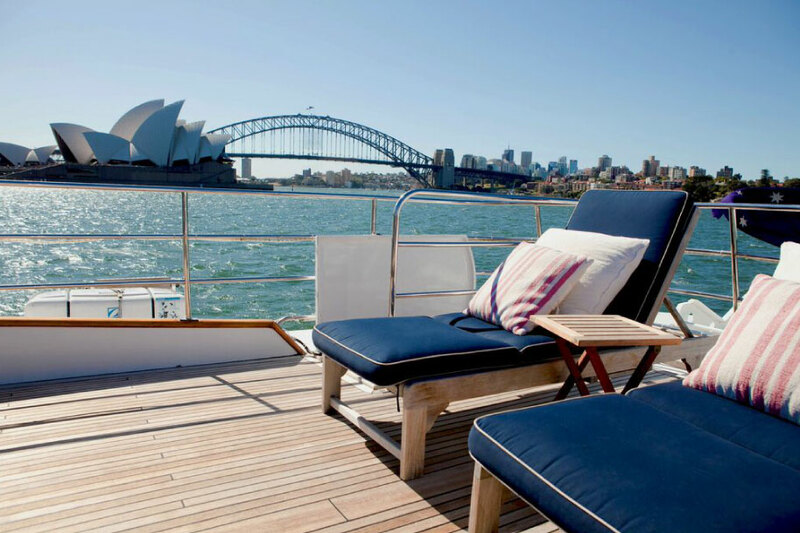 Hiilani has 3 levels, sun lounge front deck and top deck, 4 spacious cabins and ensuites (sleeping 9 guests) and can accommodate up to 45 guests cocktail style.The Boat’s level of luxury and comfort make her one of the most desirable motor yachts available for charter in Australia. 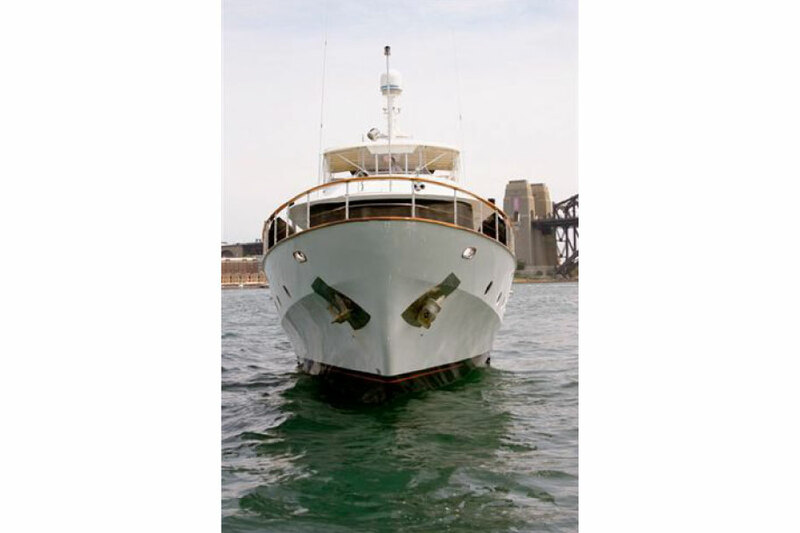 A recent multi-million dollar re-fit has ensured that Hiilani is magnificently equipped for luxury cruising, offering the highest level of discretion for elite and corporate clientele.